It's safe to say that you don't have to live in California to be aware of the devastating fires ripping through our state. I live in Redding, so I saw first-hand the loss the Carr fire has brought to the North State. My daughter, her fiancé, and I just couldn’t just sit and watch the news, feeling helpless as we saw houses and lives crumble. Like many others who weren’t displaced or in imminent danger, we sought ways to help wherever possible. One day my daughter told me the story of a high school acquaintance, and how bad she felt for her. I knew of her, since she was a former Miss Redding Rodeo and is known to be a selfless person. 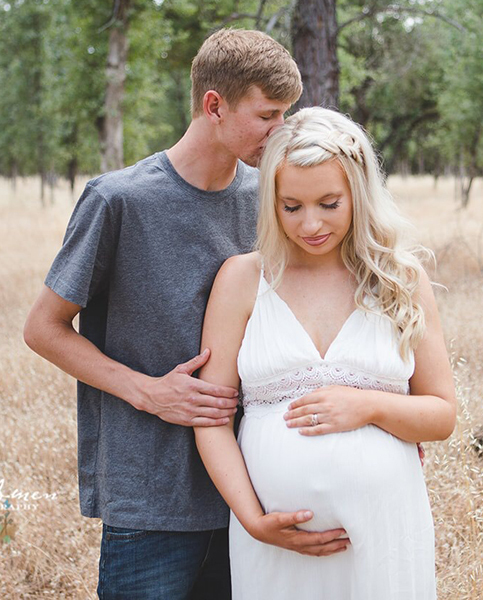 At the time of the Carr fire, Jayden was 37 weeks pregnant, had recently had her baby shower, and had just been evacuated from her home. Later, we learned that her home was completely destroyed. Due to the fury of this fire, many were forced to flee without a chance to grab much of anything, not even clothes, family memories, pictures, etc. I can’t imagine how they felt, but after hearing Jayden’s story, I knew I had to do something to help her. Without a second thought, I knew exactly who to reach out to. I shared Jayden’s story with my Escape co-workers, and they responded with an outpouring of offers to help. I felt so lucky to be able to reach out to her and relay that I had a special delivery for her! Due to the generosity and support of my co-workers, Team Escape rallied and donated an abundance of clothes, baby essentials, gifts, a changing table, and a $350 Target gift card to fill in any unmet needs. I’m never surprised at the efforts my co-workers are willing to give to support each other and our customers, but to rise to this occasion for someone they didn’t even know was impressive. This is just one more reason that demonstrates how blessed I am to be part of such an amazing company! Jayden with her fiance in happier times. First off, thank you so incredibly much for every single person who is a part of this. When I first saw what Jane, Hannah, and Escape Technology were doing for me, my mom, and my sister, I immediately started to cry. Words cannot possibly say or express the love, support, and compassion I am feeling right now as well as how grateful I am for each and every one of you. I do not know how I got so lucky to have such amazing and caring people in my life - let alone strangers whom have never even met me, yet are so willing to treat me as a friend. This just proves that the love in this community is unlike any other. There are so so so many families out there who are in a similar situation and my heart goes out to them fully. Even though our home was lost, we are safe, overtaken with love and support, and are truly blessed beyond measure. I am currently 37 weeks pregnant expecting a baby boy in the next few weeks. My boyfriend of five years, Logan, and I moved into the downstairs of my dad’s home back in June. It was the perfect setup to start our family because the downstairs portion of the house had its own living unit with a kitchen, living room, garage, and my dad would be right upstairs to be able to be a daily aspect in baby boy’s life and a huge help when Logan is gone at work. It was within just a few minutes from my mom’s house and Logan’s mom’s house as well. I also spent most of my childhood in this home and watched my dad build it with his own two hands from the ground up. Everything from the baseboards, to the cabinets, to the granite countertops were made by him. It has and always will be my favorite place on earth. It was home. It was a place where so many irreplaceable memories were made. It was where we were supposed to bring our son home to. As you can see, my dad lost so much too. He is the most giving man on this earth in my book and would do anything for anybody, so to see his years and years of hard work and dedication of this home be destroyed breaks my heart. This is just my story though. There are so many who have come out of this fire worse than me - family members lost, people with no where to go, families who can’t locate their beloved pets, etc. To say I feel “blessed” would be an understatement. This baby is going to come into this world surrounded by so much love and one day, I will tell him about the chaos leading up to his birth and how such incredible people made sure that we were going to be taken care of in the midst of hardship. To everyone who is a part of this: One day, I will tell him about you and the impact you have made on our lives. From the bottom of my heart - THANK YOU.